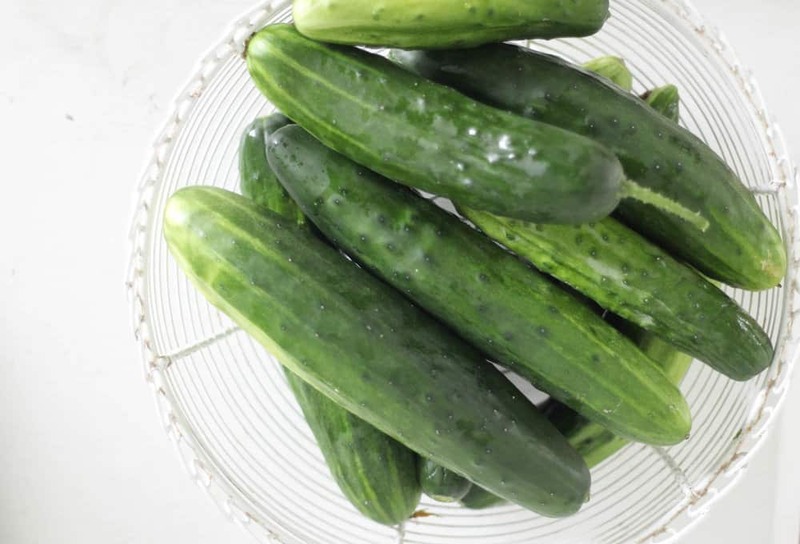 Is your garden overflowing with cucumbers? If you have time to slice them up and add them to salt water, you have time for fresh homemade fermented pickles. 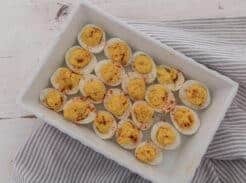 This is seriously the simplest recipe ever! 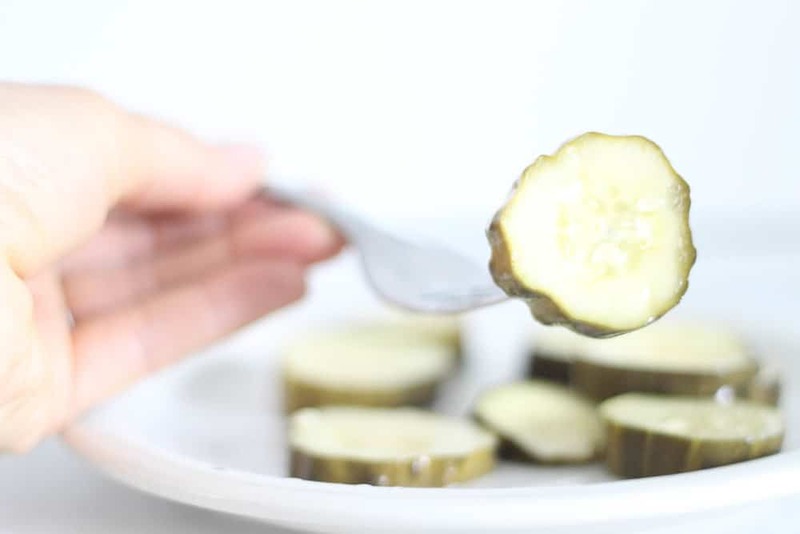 This easy pickle recipe honestly seems like a pretty sorry excuse for a blog post. I mean really. How could anything with so few steps and ingredients ever be considered revolutionary enough to be worthy of your time, dear reader? 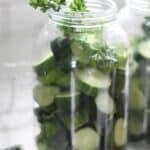 Well, if your garden overfloweth with cucumbers and/or you want to start incorporating more fermented vegetables into your diet, I think you will love this super simple recipe. Honestly, it has been a game changer for me with my last few cucumber harvests. 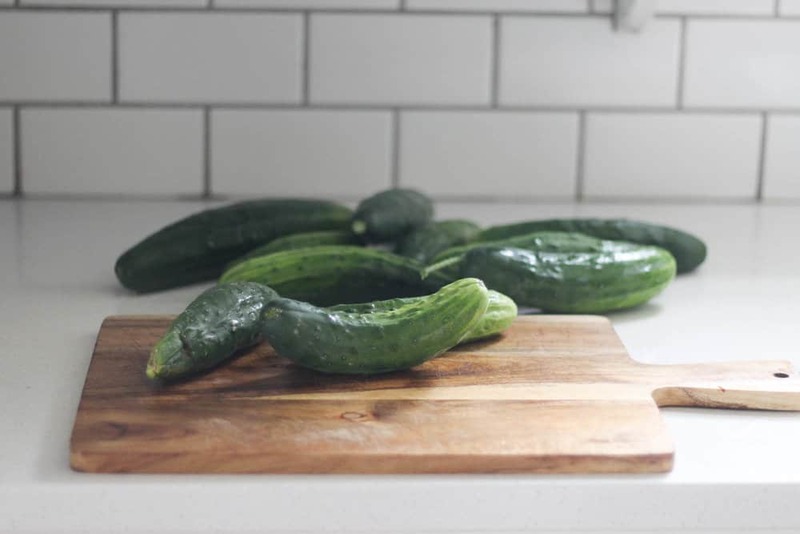 I remember last year, we ate more vinegar cucumbers, cucumber cream cheese sandwiches on sourdough, and plain old salted cucumbers than we could stand. Soon I started making cucumber mint infused water by the gallon. But after all that, what else was a girl to do? I mean making pickles is hard, right? Surely no mom of four has time for that! Now I’m thinking, why the heck didn’t I just make more pickles?! 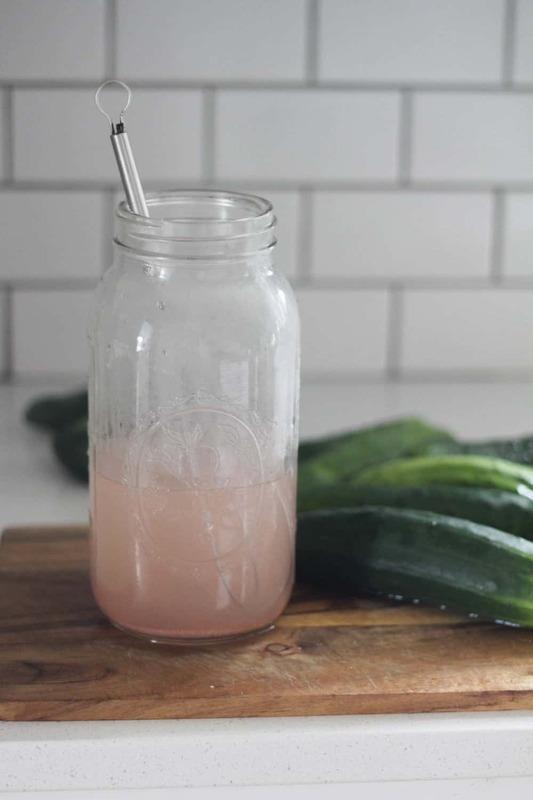 There are only three ingredients in this recipe: cucumbers, water and salt. Isn’t there some recipe that doesn’t require fermenting? There are. But, guess what? 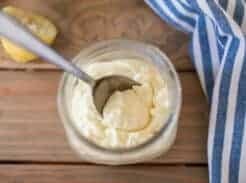 They are actually HARDER than this simple recipe, and no where near as beneficial for the gut! Read more on the benefits of fermented vegetables HERE. 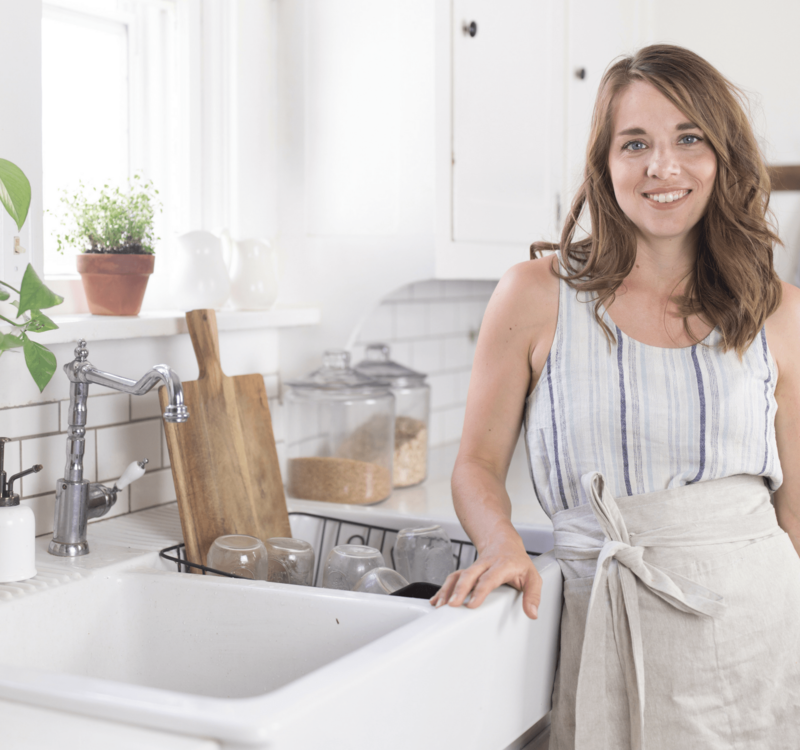 Before I started fermenting vegetables myself, I was overwhelmed by all the options that I saw all over Pinterest. 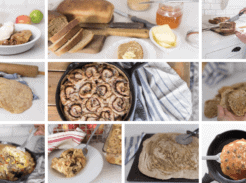 “How to Ferment Vegetables with Whey”, “Best Starter for Homemade Fermented Vegetables”, “Why Lacto Fermentation is the Best”, “Best Air Locks for Home Fermeting”……Whaaaaaaa? For a few years I decided, clearly fermenting vegetables is difficult. I’m going to go crawl in a hole now and avoid any article that resembles a fermenting tutorial. Friends, I’ve been there. If you’re where I was, let me gently back you off that ledge and give a quick science lesson. Salt is a special little mineral that prevents the growth of harmful bacteria. When ferments are submerged in a salty brine, the good bacteria present on the fresh vegetables, namely Lactobacillus, can proliferate and grow uninhibited by bad bacteria. So, my point is…all you need for vegetable fermentation is salt, veggies and water. The process really couldn’t be any easier and less intimidating. Read about how to make homemade sauerkraut here and homemade kimchi here. 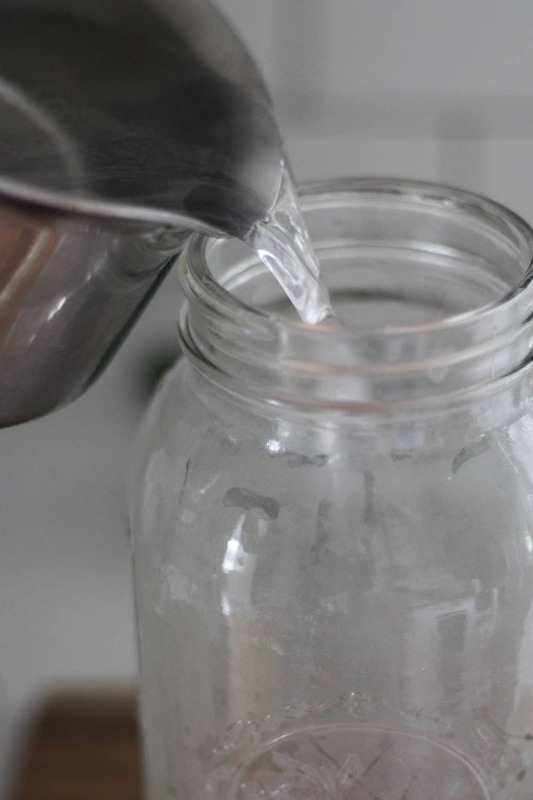 Think of fermentation as growing your own probiotics. 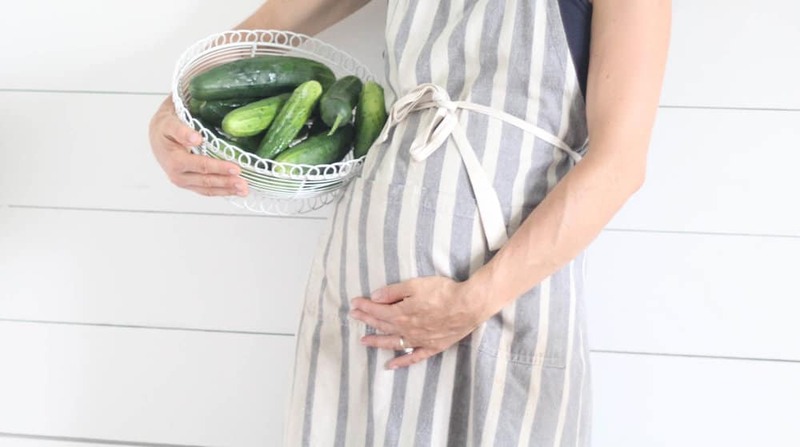 Now, on to the simple homemade cucumber pickle recipe. 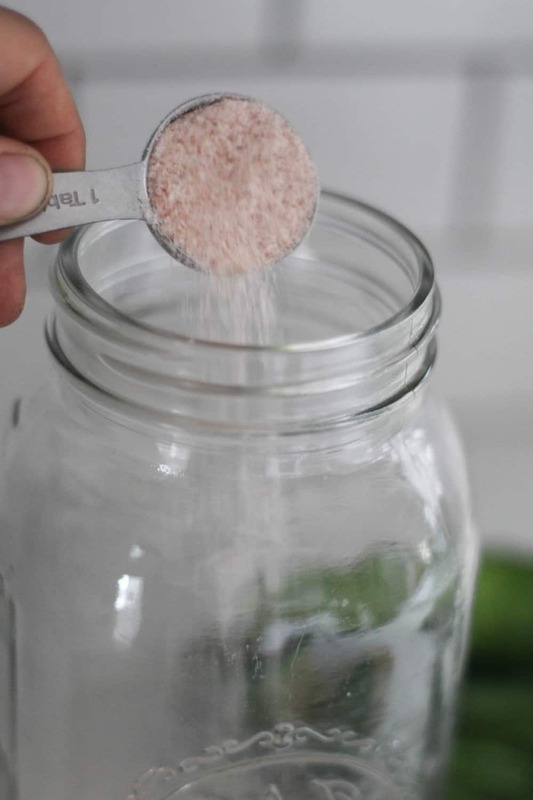 First, add four tablespoons of salt to a half gallon size mason jar. I like to use Pink Himalayan Salt. You could use sea salt or Celtic salt, but don’t use iodized table salt. Next, bring a couple cups of filtered water to a simmer. This is going to be used to dissolve the salt. 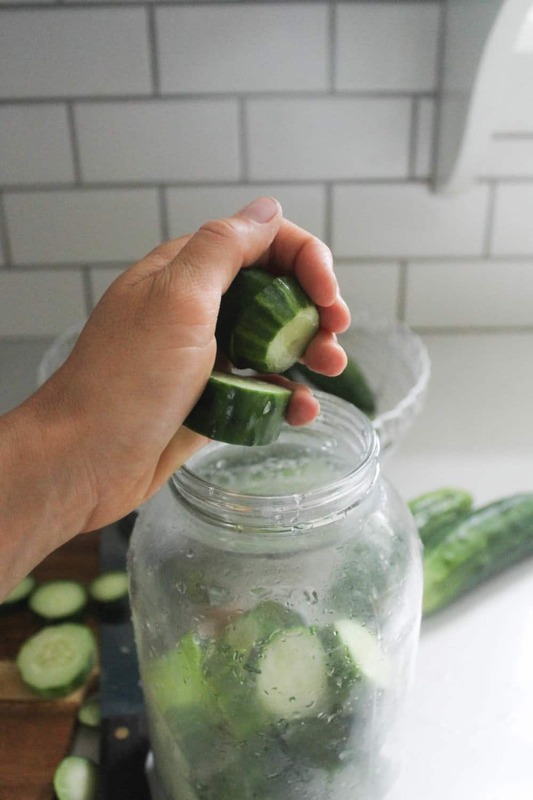 Add sliced cucumbers to a half gallon mason jar. I like to slice them in approximately half inch rounds. If they are too thin, they can get soggy, and who likes soggy pickles?? Now, this is the part where you could get creative and add parsley, dill, cloves of garlic or whole black peppercorns. As in, you don’t have to. My kiddos love these pickles, and I just don’t want to mess a good thing up. I’m afraid they would turn their noses up at garlic parsley pickles with peppercorns, and we wouldn’t that. I added some parsley for the photo, but like I said, I just pulled that little sprig right back out and got on with my plain Jane pickle makin’. After the salt water has cooled, add it to the jar. Fill it the rest of the way with filtered water. Add a weight to keep the sliced cucumbers under the brine. I keep a couple good sized rocks on hand for my fermenting weights. 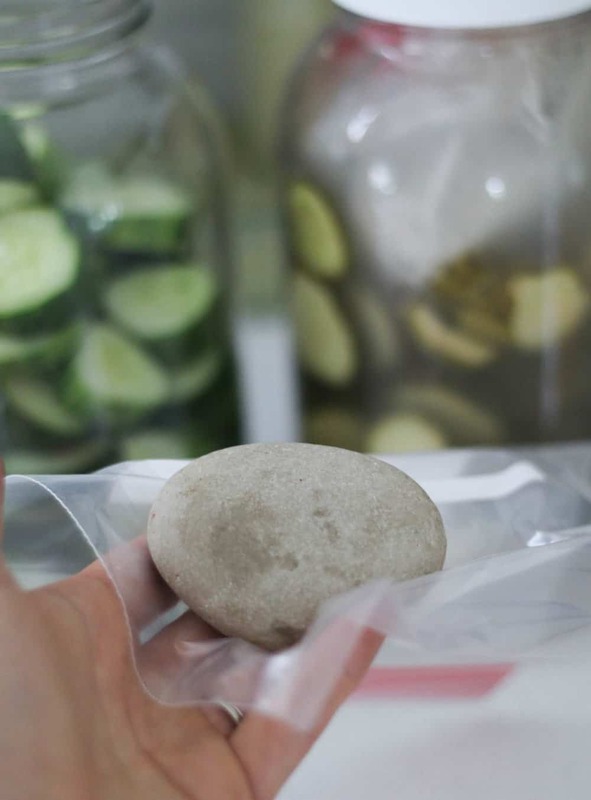 I just slip the rock in a ziplock bag, so it doesn’t make contact with my ferment. 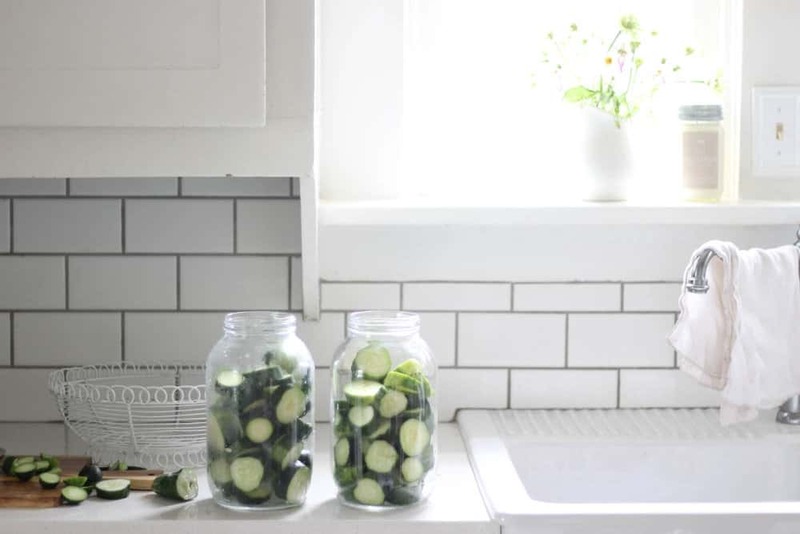 After the cucumbers are weighted down in the salty brine, put the jar lid on loosely. 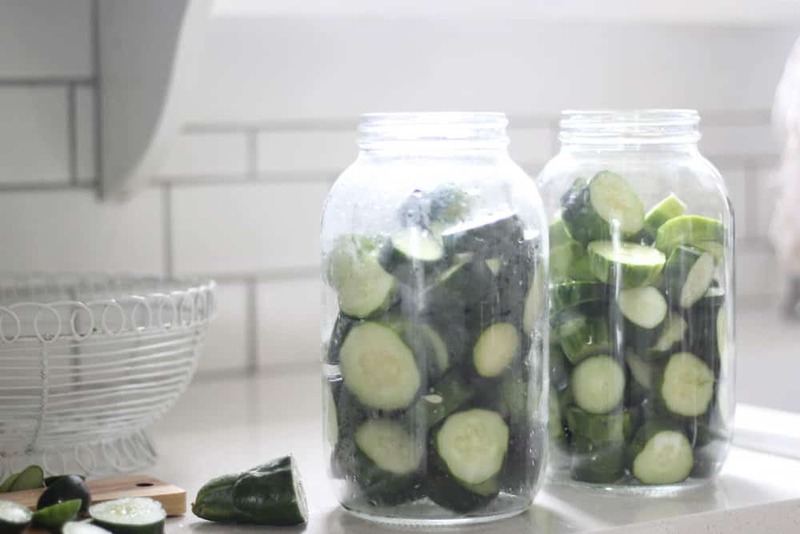 Fermenting does create some natural gases that need to be released, so don’t screw the lid on too tightly, but do keep it covered so flies and varmints don’t decide to feast on your pickles. 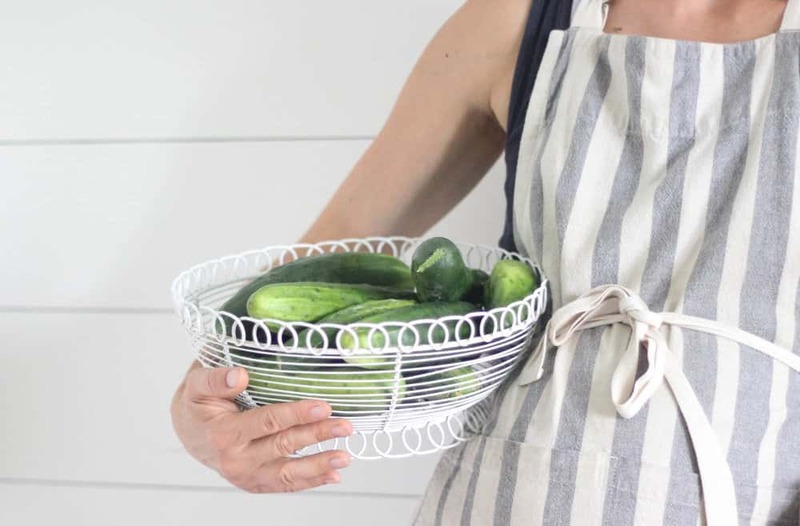 You can also use these Pickle It fermenting lids, but you definitely don’t have to. The purpose of the lids is to allow gases to escape, while letting nothing else in. I use them all the time, but they were already in use in other ferments when I was making this tutorial. You can pretty much accomplish the same thing with a loose lid. After five (or so) days, they will taste perfectly pickle-ish. PLEASE NOTE: It is normal for the brine to get cloudy. This is a natural byproduct of vegetable fermentation and does not mean mold. For more fermented vegetables troubleshooting questions, check out THIS article. Take one out and try it. If it is sour enough for you, put the lid on tightly, and throw the jar in the fridge. If you would like them to get a little more sour, leave them out at room temperature to ferment a little longer. I included this photo to show you the color difference after fermentation. The garden fresh cucumber is on the right and the pickle, after a five day fermentation, on the left. 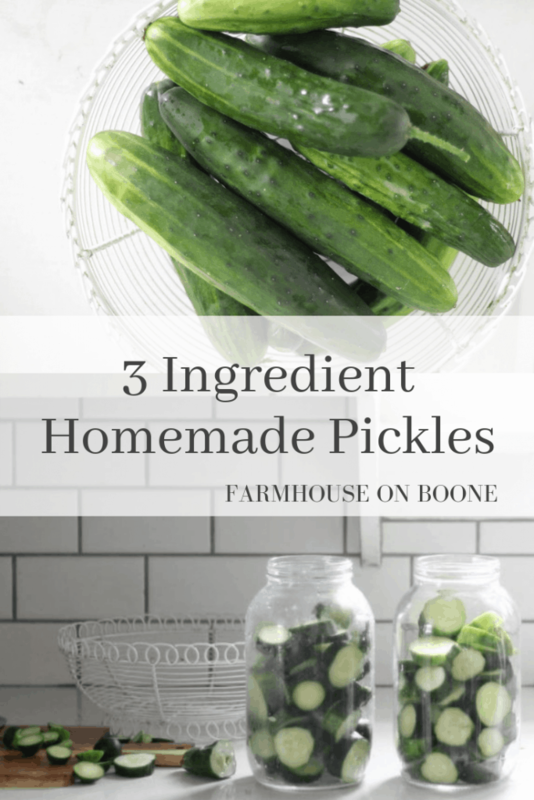 We Love these Homemade Pickles! 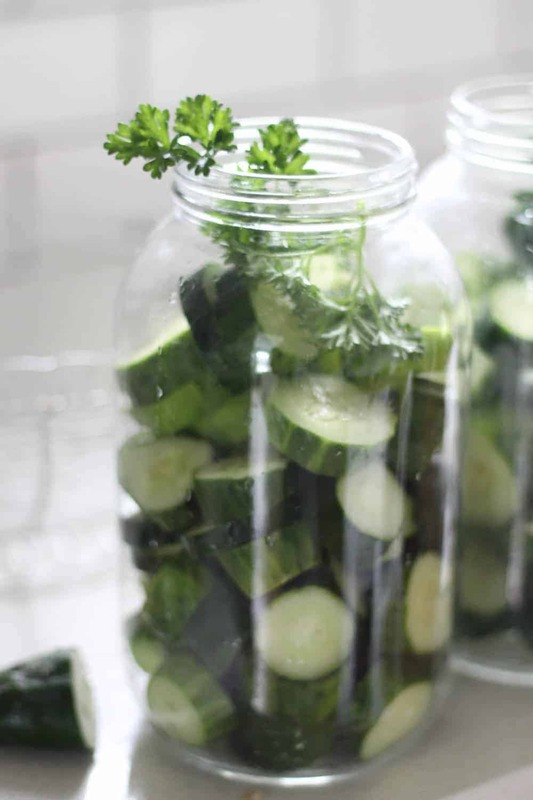 We love these pickles, and you can bet I will be making many many more this summer, as we are up to our ears in garden cucumbers. For my next batch, I am going to just throw the freshly sliced cucumbers in the brine from a previous batch. Since it is already teeming with the beneficial bacteria, it will serve as a jump start for the process in the next batch. Made these this past week. My first attempt at making fermented foods. They turned out amazing. So easy to make thank you for sharing. I do have a question, is the water supposed to be cloudy when done? Yes! That does happen. I should mention that in the post. 🙂 . So glad they turned out for you! I made these and the flavor is amazing but they arent crisp. I had hoped that the inside wouldnt get mushy. Are there any tips that I can try to keep my pickles crisp? I’ve read that grape or oak leaves help keep them crisp. Just made a batch of these and can’t wait to try them out! I was wondering, though: is there any difference when fermenting spears as opposed to round slices? 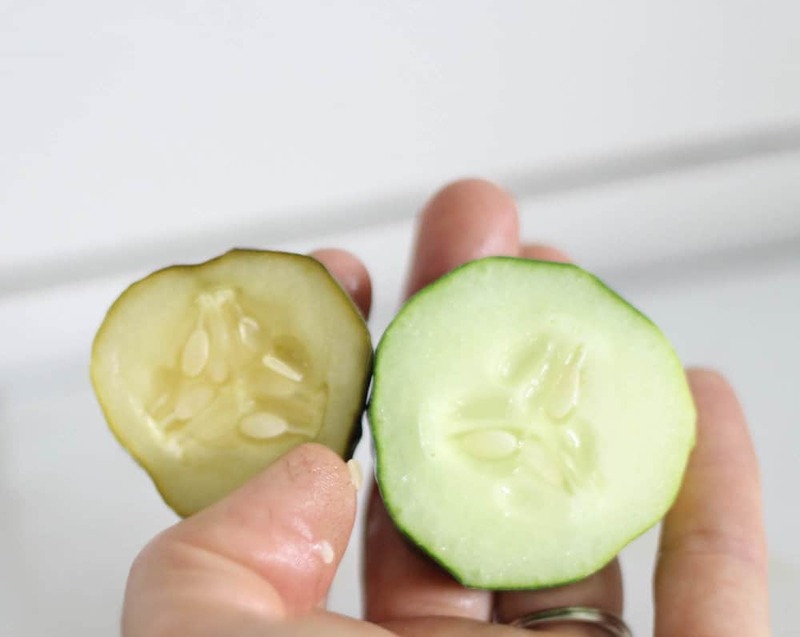 Just silly questions, perhaps … could we use smaller grocery store cucumbers rather than home grown, since it’s too early here for garden produce yet? I’m concerned that the stores may source veggies that have been treated in any number of ways to cause disruption of the fermentation process? If so, will buying organic ensure that this won’t be a problem? Would this work to make bread and butter pickles? I know most bread and butter recipes required sugar or honey so I’m curious if it would fermented properly still? Can the brining water be used again for 2nd batch? Or start fresh each time? I love how simple you make things! How long do these last in the refrigerator before going bad? My saurkraut turned out great but my pickles were beyond soggy! What did I do wrong? I chopped them fairly thick. My pickles come out really bed. Can it be because I used the long cucumber From the grocery store? Were they mushy? That sometimes happen if they are the big cucumbers. I made your pickles and your sauerkraut and they are delicious! Could I use this basic pickling method for jalapeños? Have you done that? Wondering if they would stay crunchy. We eat a lot of jalapeños and I would love to ferment them if I can. Thanks! I haven’t done it with jalapenos, but this is the basic recipe to ferment any vegetables, so I’m sure it would work and be delicious. Does the weight need to be completely submerged? Or can the weight be half submerged? Every time I try this recipe, they mold! HELP! 🙂 I even use a silicone fermenting venting lid! I just want pickles and saurkraut!! !